Every year it seems like a new dog is looking for the title of Guinness World Records‘ World’s Tallest Dog. 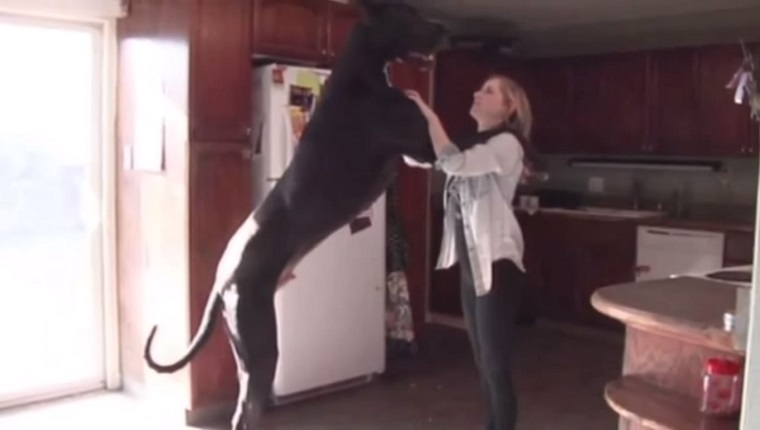 Last year, DogTime reported on Bentley, a Great Dane seeking the record of World’s Tallest Living Dog. Though Bentley didn’t measure up to Zeus, who holds the all-time record. Since Zeus passed away, there have been many challengers, but no dog surpassed him. This year, Rocko, a two-year-old Great Dane from Nevada is standing up to Zeus’s impressive 44 inches of height. Rocko’s owners are calling on Guinness to see if the pup can stretch into the record book. 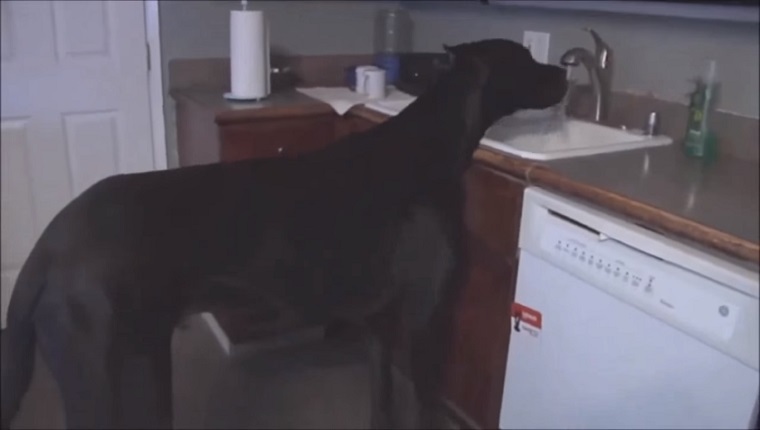 When he puts his paws on his owner’s shoulders, he towers over her, and Rocko is able to drink straight from the kitchen sink and open full-sized doors all by himself. Still, Rocko upholds the traditional Great Dane “gentle giant” personality. Great Danes tend to act like huge lap dogs. They’re also very sensitive and easily startled, but loyal. The cartoon Great Dane Scooby-Doo is a perfect example. Rocko’s owners say that the pup will cry if he sees an animal hurt on television, and he loves to sit on laps. We hope to see Rocko in the Record Book soon! Do you have a big dog who acts like a lap dog? Or a lap dog that thinks he’s the biggest dog in the world? Let us know in the comments below!